ICICI Lombard General Insurance Co Ltd, which counts Canadian investment firm Fairfax Financial Holdings Ltd as its joint venture partner, will launch its initial public offering on 15 September, parent firm ICICI Bank said in a stock exchange filing on Thursday. The announcement follows the approval granted for the IPO by the Securities and Exchange Board of India on 1 September. VCCircle had first reported about the company's IPO plan and that it had shortlisted merchant bankers for the IPO. ICICI Lombard, which is India's largest private sector non-life insurance firm, had filed its draft red herring prospectus with the market regulator on 14 July. The IPO comprises an offer for sale of 86.24 million shares by promoter entity ICICI Bank and the joint venture partner FAL Corporation, an affiliate of Canadian billionaire Prem Watsa-led Fairfax Financial Holdings. The offering will result in a 19% stake dilution. The issue size is likely to be upward of Rs 4,000 crore ($620 million), according to persons familiar with the matter. Fairfax has proposed to sell 54.48 million shares, representing a 12% stake dilution, through the IPO. It currently owns 99.46 million shares or 21.92% stake in the insurance firm. ICICI Bank will sell the remaining 31.76 million shares, based on the information made available in the draft proposal. The 7%-stake dilution by India’s second-largest private sector lender will bring its holding down to near 56% from 62.95% it holds currently. 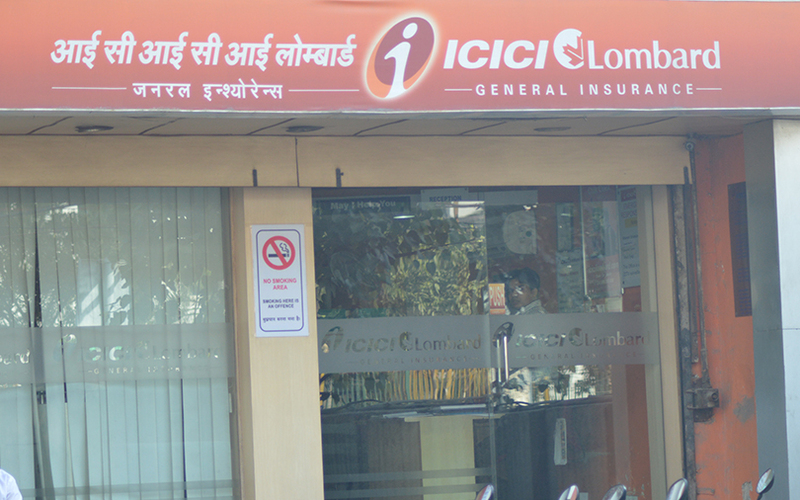 ICICI Lombard’s IPO will be the second public float by an ICICI Bank affiliate company in the past one year. In September 2016, ICICI Prudential Life Insurance Co Ltd launched a Rs 6,056-crore IPO, the biggest primary market offering in six years. The IPO had received strong investor response but made a disappointing debut on the stock markets, with its shares ending almost 11% lower from the issue price of Rs 334 apiece. The sale by Fairfax, which has $43.38 billion of total assets as on December 2016, is backed by its decision to start a new general insurance joint venture (JV) in India for which it needs to trim its holding, as per regulatory requirements. The Canadian investment group owned by billionaire Prem Watsa has submitted its proposal to India’s insurance regulator, the Insurance Regulatory and Development Authority (IRDA), and is required to reduce its holding to below 10%. Regulatory guidelines do not allow foreign investors to own a higher stake in two insurance companies. A foreign investor can own up to 49% of an Indian insurer. The general insurer has appointed Bank of America Merrill Lynch, ICICI Securities Ltd and IIFL Holdings Ltd as lead merchant bankers. It has also appointed CLSA India Pvt. Ltd, Edelweiss Financial Services Ltd and JM Financial Institutional Securities Ltd.
ICICI Lombard was set up in 2001, after the Indian insurance industry opened up to private players. It was the first Indian company in which Fairfax had invested until its acquisition of travel services group Thomas Cook in 2012. ICICI Lombard is the largest private sector non-life insurer in India based on gross direct premium income, a position it has maintained since financial year 2004, the company claims in its DRHP. Shares of ICICI Bank were quoting 0.4% lower on Thursday noon at Rs 293.95 per share, after gaining more than 1% in early trade. For more details on ICICI Lombard's proposed IPO, click here.